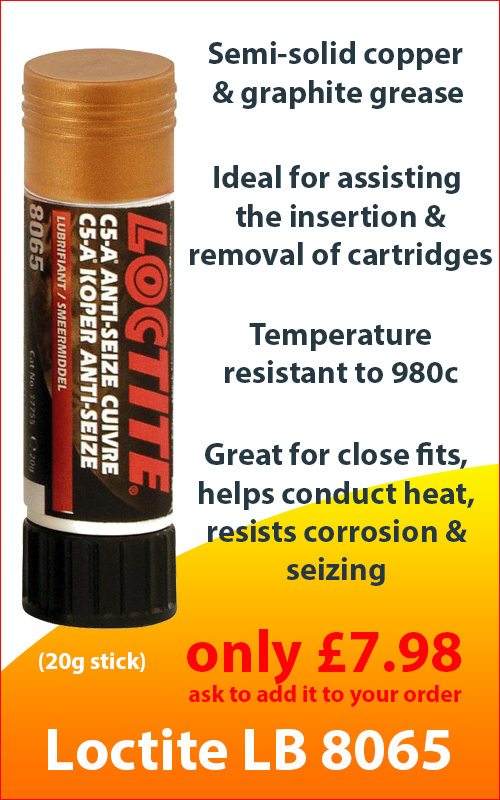 We make two Categories of Cartridge Heaters. A.) Our Standards Range cartridge heaters enabling us to give a very fast service at the lowest possible cost. With 12” or 250mm fibreglass leads. With more than half dozen termination choices (Some shown above) and lead wire insulation materials (up to 650C ) ; with sleeves of silicon tubing to stainless steel armour. Tell us what threads, ceramic blocks or angle exit you need and we will match these. 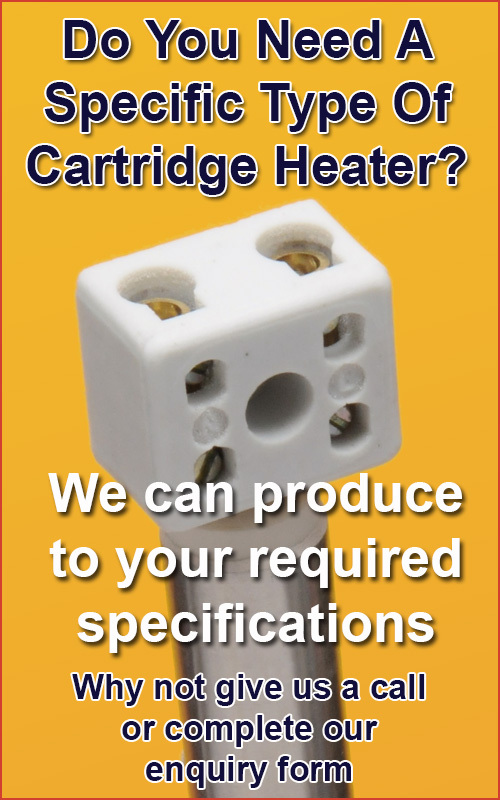 Why choose our heating cartridges? 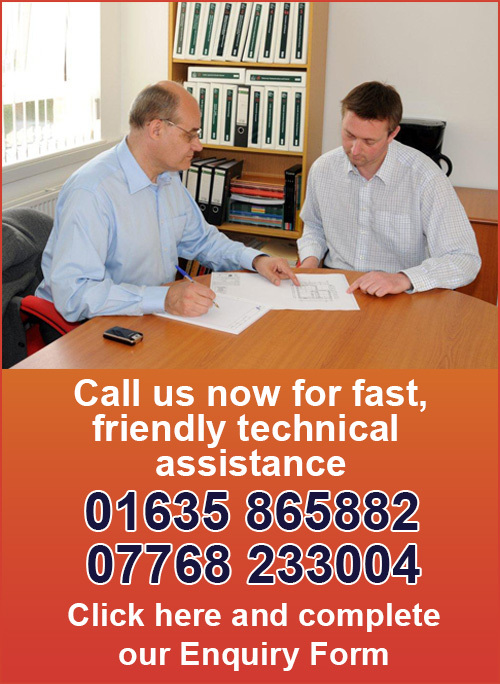 We understand your needs and will give you full support and technical advice on our products application. We use only high quality materials i.e. 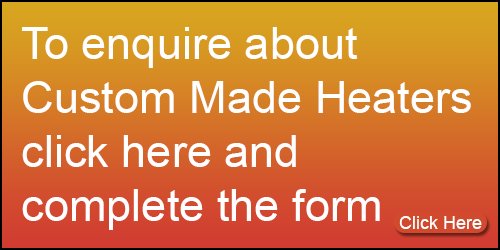 pure magnesium oxide and steels, including 304/316/321 and Incoloy; Ni – Cr 80/20 heating wire etc and by combining this with an ISO9001 quality assurance with an automated production and inspection systems this ensures the reliability and longevity of our heating cartridges. Our design and construction warranties our heaters performance by providing an excellent heat transfer (Up to 60W/cm2) with a guaranteed even temperature distribution. 3 days delivery – with an increase of 100% of the base (starting) price. (Min of 4 units and max 25 units). In case we cannot carry out these timed deliveries, you will be informed within 18 hours and it will be delivered 24 hours after that agreed a corresponding price reduction. Services can be cancelled you will be informed of the order non acceptance within the working day. All orders without exception must be accepted before 10am. Any order received later than this hour will be considered as received the next working day. Holidays must be taken in consideration, local holiday time in both the country of fabrication and of reception. Your order confirmation is considered as an acceptance of these service conditions. Total or partial cancellation of priority orders will incur additional costs.